. Published on October 29, 2014 . 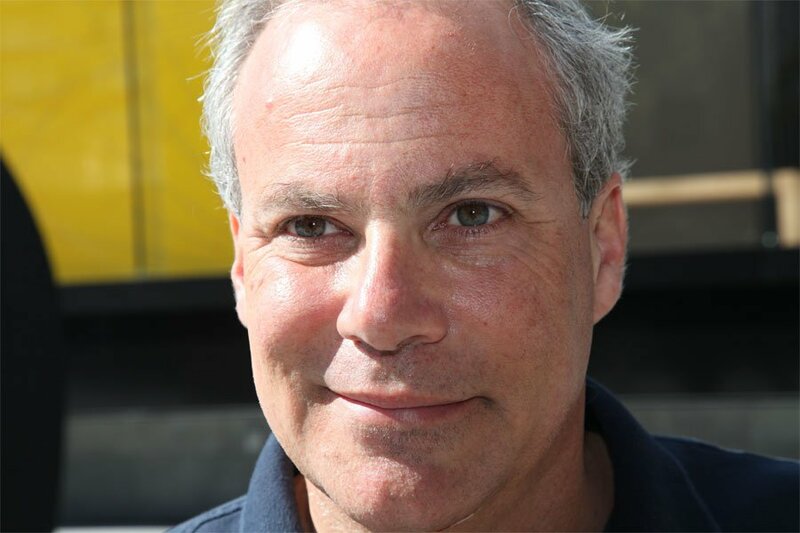 Jonathan Rosenfeld, Ph.D., is a Change Strategist who coaches CEOs and companies in mindful leadership, including Medium.com where he leads Leadership and Change Strategy. Jonathan is extremely passionate about building mindful workspaces that create environments for better work and more effective leadership (read this if you want to learn more about how he’s building a mindful workspace at Medium). He sat down with us to explain the benefits of meditation for leaders and how he’s seen the practice empower leaders and employees alike to do their best work. I was curious about meditation from the time that I was an adolescent, both in terms of how it alleviated psychological distress and also just the idea of learning to do something that would be so transformative and helped you be in the world in a more meaningful, perceptive way. And so as an adolescent, I looked into different meditation practices and went on various retreats. I was never completely taken by the experience, though. I thought I was bad at meditation, just as most people think they are when they first try it. You get tired of being really bad at something, so even though I continued to meditate those beliefs stayed with me through my adult life. About three years ago, various things were going on with my career that were very exciting but also created a lot of stress. This frustrated me. Granted, it’s a well established phenomenon that the things that are exciting are also anxiety-producing, but I was still annoyed. I thought that if my career was blossoming, that I should primarily be happy, have fun, and not feel so stressed out. I was a bit concerned that being stressed out was costing me some degree of intellectual acuity. I wanted to bring my full cognitive ability to coaching people and being as effective as possible. So I decided to give meditation another try. I talked to various friends about meditation and was directed to Mindfulness-Based Stress Reduction (MBSR), Jon Kabat-Zinn’s state of the art model. They really distilled down the actual meditation practices that are psychologically transformative in a very methodical, instruction-based way. So I said OK, I’ll give this type of meditation a try. The next challenge for me was to find a teacher because I didn’t want a teacher who in any way felt new-agey to me. I found Bob Stahl, a down to earth, working class guy from Maine. During his retreat, I felt like I was successfully meditating for the first time. That was three years ago. I’ve very conscientiously stuck to my meditation practice since then and it’s just gotten stronger and stronger. Of course there are peaks and valleys but the meditation practice has gotten stronger and stronger over time. I had a two-part breakthrough moment. One of the reasons that I’d given up on meditation previously is that all of these unpleasant thoughts would come to the forefront of my mind when I would start to meditate. This was the last stuff that I want to be thinking about: terrible things that have happened to people I know, thoughts like that. So when I went on that retreat, sure enough I did the first meditation and these horrible, horrible things popped into my head. I talked to Bob about it and he was just very compassionate. He encouraged me to hang in there. I found myself sort of melting and getting more and more relaxed during the meditation. My heart felt more robust and I began to feel a lot of compassion for myself and for other people. By the end of the second day, I was thoroughly enjoying meditating, which had never happened to me before. Meditation had always felt like work. When I got home from the retreat, my children blurted out that I was smiling more than usual and said that it was really uncharacteristic of me to seem so happy. And I thought, wow, that’s a pretty fantastic endorsement. When did you start incorporating meditation into your coaching practice? Pretty immediately. I started talking to a client about meditation, recommending it not just for them as leaders but also for their employees. They were convinced enough to give it a try, so I ended up bringing Bob Stahl to an all-hands retreat where he spent half a day instructing us in meditation and mindfulness. But I’d incorporated mindfulness into my coaching even before then. While I didn’t develop a deep meditation practice until a few years ago, I’d always done some type of meditative practice. I’ve been doing what I call micro-meditations since I was an adolescent and have always incorporated those in my coaching. A micro-meditation is effectively a way to slow down and pause your overreactive brain. So maybe you stand up. You take a few breaths. You do muscle stretch or a full body scan from your head down to your feet. You identify where you hold tension and you release the tension. Just thirty seconds of calming yourself down can improve focus and lead to better outcomes. When you get the physical and mental tension out of you, your presence, demeanor, and temperament become more relaxed. You feel more connected to yourself. I used to coach people to pay attention to their muscle contractions during negotiations. If you use a micro-meditation to get your body neutral before a meeting, you’ll have the awareness to notice any increased tension during interactions. New tension is a signal to pay attention because something is going on in the room that you’re not totally comfortable with. You might not be cognitively aware of a problem, but you’re subconsciously aware which triggers your body’s stress response. You don’t get the same transformational insight with micro-meditation that you get with a deeper meditation practice but it’s a really valuable practice and skill. How does meditation make you a better communicator? Well, we all in a non-pathological way, deal with a tremendous amount of fear. If you want to use a less charged word, we all deal with a tremendous amount of apprehension. And since we are wired to survive and procreate, as opposed to optimize, that apprehension becomes the reason that we don’t take action. That inaction is routinely a conversation we have to have because we’re too apprehensive about a negative outcome. The client had all of these irrational fears around how his boss might act. Let’s assume that his boss is a rational, reasonable, compassionate person who highly values him and wants to make best use of him at the company. Then he should say exactly what he wanted to say in the first place. One founder told us that meditation made them more aggressive in their leadership. That seems contradictory to me– what do you think? One of these days, I want to do a big talk on the subject, because meditation and aggression are completely compatible. Think about it: Michael Jordan and Kobe Bryant meditate in the service of being as effectively aggressive as possible. One hallmark of highly effective leaders is their ability to make complex decisions. Leaders are often faced with massive amounts of ambiguous data with which to make these decisions. They have to accept the ambiguity but make a clear decision. People won’t follow confusing messaging or believe in an ambiguous mission. And so what leaders tend to do is create false dichotomies by ignoring or getting rid of data that doesn’t support their decision. They try to make decisions black and white so that they can act with more conviction. But of course there is no intellectual integrity in acting that way. The challenge every leader faces is, can they accept high levels of ambiguity and then convincingly make the best decision that they can make at that time. I think meditation helps immensely with that and allows you to accept the phenomenon of the ambiguity without having to be pained by it. I assume this is what the founder means by meditation makes them more aggressive. They’re making quicker decisions. They’re doing things with more conviction. They’re not equivocating. Meditation made them a more powerful leader but that doesn’t make them any less compassionate or sensitive or thoughtful, either. If you talk to leaders, you’ll hear this all the time: what I did today I should have done 6 months ago and I knew it. There’s often very little to be gained [by stalling] once a decision is made in your mind. A strong meditation practice let’s you make better decisions, earlier, and with more with more conviction. Stalling on making a decision is a huge issue for CEOs. I mean you’re also dealing with cognitive dissonance: once you’ve decided to fire someone of course you should have fired them six months ago, whether it’s in fact true or not. Can you share some examples of how being a mindful leader makes you more effective? Well speaking of firing, it’s good practice and compassionate leadership not to fire someone too quickly. If you’re unhappy with somebody, before firing them you want to see if you can turn them around. But the main strategy for turning people around is to give them more chances to make the same mistakes that they’ve made previously. That’s not a winning strategy. More often than not, they’re going to make the same mistakes if you do that. I think that to the extent that meditation supports self-awareness, if you’re going to give a person another chance, then give them a really different chance. Put them in a position where you are both going to learn more about who this employee is. Here’s another example of how you can be a more mindful leader. Say that there is somebody doing X in your company. They tell you they want to do Y. They do X really well and other people are in charge of doing Y, so there’s no real incentive to support the change. But if you slow down enough to acknowledge that you don’t truly know who they are or what they’re capable or not capable of and you give them a measured opportunity to do Y, then one of two things happens in my experience. One is that they do Y and they do Y surprisingly well. You’ve just opened up the door for them to develop their talent and be an even more productive member of the company. The other outcome is that they never do anything. In that case, they probably never really wanted to do Y in the first place–they simply wanted to push or pull in some way, but you’ve removed the tension from your relationship with your employee. Now you haven’t blocked them from doing something and they have made their own choice as to whether they want to do it or not. What other skills do you think meditation gives leaders? There are so many. For one, meditation helps leaders be less reactive. This is huge. People look to leaders to see how they are supposed to feel. Should they be optimistic? Nervous? Excited? Leaders set the tone and energy in many ways. Among the things that meditation does is that it lowers all of your physiological indices. So people who meditate tend to present as calmer, more relaxed people. Given again how much people scrutinize leaders, I think that’s phenomenally impactful. Meditation can also help leaders remove everyday stress and anxiety from their lives. Leaders absorb massive amounts of anxiety and tension from everyone around them. That’s part of their job. In fact, if you’re absorbing people’s tension and anxiety then part of their association with you is that “When I am around So-and-so, I feel better.” That in and of itself really empowers you as a leader. But you can’t absorb it and hold it and continue to be effective. You have to metabolize it. You can do that through anything from cognitive exercises to rigourous exercise to meditation. Meditation also gives leaders more poise. Leaders might go into a situation that feels like a crisis, but if they’re self-aware then they can ask themselves, “This feels like a crisis but is it really a crisis?” Most of the time, it isn’t a crisis, which also reduces the pressure, which should reduce stalling on a decision. Usually there is a significant window within which a leader has to take action and being less reactive lets leaders calmly and assertively deal with a stressful situation. Finally, I think that meditation simply makes people happier. People enjoy their lives more when they meditate. They savor their successes more. One of my clients manages a sales team. Every time that the sales team had a success, he would raise the bar for what he wanted them to do, which is perfectly normal when managing sales teams. But in doing so he never let his sales team celebrate. He was so hyped up by their success he encouraged them to immediately achieve more. My client learned to relax and allow his team to celebrate for a few days and revel in their success before giving them another challenge. The employees were more energized and began to see him not as an unremitting task master but as somebody who celebrates and appreciates their accomplishments. It made them more motivated to work for him. How does meditation nurture poise and presence? That’s a great question. I was just talking to a leader this morning who is bringing me into his company to do the keynote for a retreat. This particular company has always prioritized making sure that it’s leaders have strong emotional intelligence. But I told him that no matter how good you are, some days you are smarter than other days. I asked him how he would know the days that he is out to lunch versus the days that he is not? How can you track that? It’s really hard, if not impossible to do so, but you can set yourself up for more success if you meditate. Meditation increases the number of days when you are on and when you are present. Nobody whose amygdala is highly agitated is present. From neuroscience we know that one of the basic human dilemmas is that the amygdala up-regulates. The amygdala, or the memory and fear center of your brain, routinely, erroneously tells your conscious brain to be apprehensive even when there is nothing to truly be worried about. Worry is distracting. If part of being an effective leader is that people experience you as empathic, as really listening, really being present, you might be able to pull off the ‘look’ but the substance isn’t there if you’re just chronically agitated by all of the things that being in a leadership role carries. But if you meditate, you increase your ability to be present and put aside all of those worries that you can’t do anything about at that time. For example, right now I am in a room with you. The best use of my time, right now, is to be fully present in our conversation. I could pay half attention to you and ruminate over some problem that I’m not going to be able to solve until next week anyway when I get new resources or new data, but it’s more effective and more enjoyable for me to be in the moment with you. One of the things that I really passionately believe is that people have a need to be accurately seen, not necessarily agreed to. For example, let’s say I have a report coming to me about an upcoming decision and my employee makes a compelling case. If she feels like I’ve really heard her out and understood her argument, yet I don’t follow her proposal, she’ll have no problem with the final decision. Presumably, she’ll defer to my greater authority or experience. If she feels like I didn’t listen to her side of the story, then she’s left at the end of the conversation going, “You know, if he’d actually listened to me, he would have done what I had suggested.” That creates tension and makes it harder for her to follow the the plan. Meditation is the practice of paying attention. Paying attention makes you phenomenally more effective in connecting with people and making them feel heard, which makes it easier for you to inspire them and bring them along with you in whatever direction you need to as a leader. Well the short answers is yes, absolutely. The longer answer is that if you can hold complex data in your head and not create false dichotomies, you’ll be a better leader since you usually make better decision if you have more data. If you’re more aware of your confirmation bias, then your ability to consider a broader range of solutions will help you come up with better solutions to problems. If you’ve increased your ability to absorb anxiety around you rather than transmit anxiety, you’ll lead more confident, more effective teams. If you can be more actively empathic in a meeting or negotiation and recognize the tension in the room, that’ll give you a huge advantage. None of that is meditation per se, but meditation helps you do that. In terms of what we know about how the brain is re-architected as one meditates, I think the practice gives you a humongous advantage. It’s sort of a no-brainer that meditation will make you a better leader. You asked earlier, how much I’ve incorporated meditation into my coaching. It’s not the first thing that I suggest, but once I develop a certain amount of rapport with somebody, I highly encourage meditation. No matter what you’re trying to achieve, it’ll give you a leg up. Do you have tips for people who want to incorporate mindfulness into their work lives? One thing I have found helpful over the last several years in terms of bringing your meditation practice into the workplace is to return to your body and the breath over and over again throughout your day. I often set a timer when I know I am going to be working for many hours straight. Every hour when it goes off I close my laptop, raise my gaze, and practice shamatha. After a minute or so I return to my work, setting the timer again for another hour. Doing so breaks up the work routine and habitual stressful momentum, and allows me to return to what’s going on right now, several times throughout my work day. 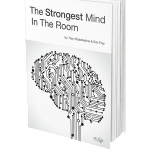 Get your free chapter of The Strongest Mind in the Room: How Meditation Boosts Human Performance. Find free guided meditations on our How to Meditate Coach.me Guide.